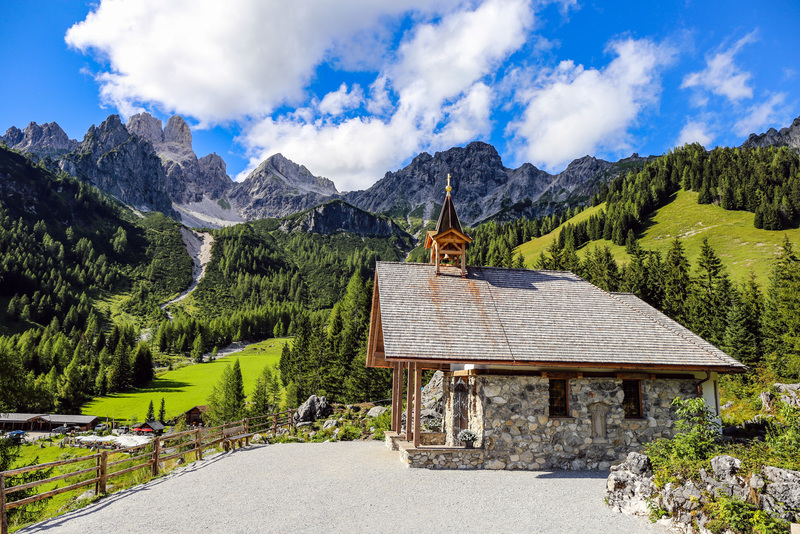 The idyllic village embedded in one of the most breath-taking mountain ranges in Austria. Nature's beauty, fresh crisp air as well exquisite cuisine attracts visitors all year round. In winter the snow-sure and family-friendly ski resort boasts with plenty of space on the slopes. 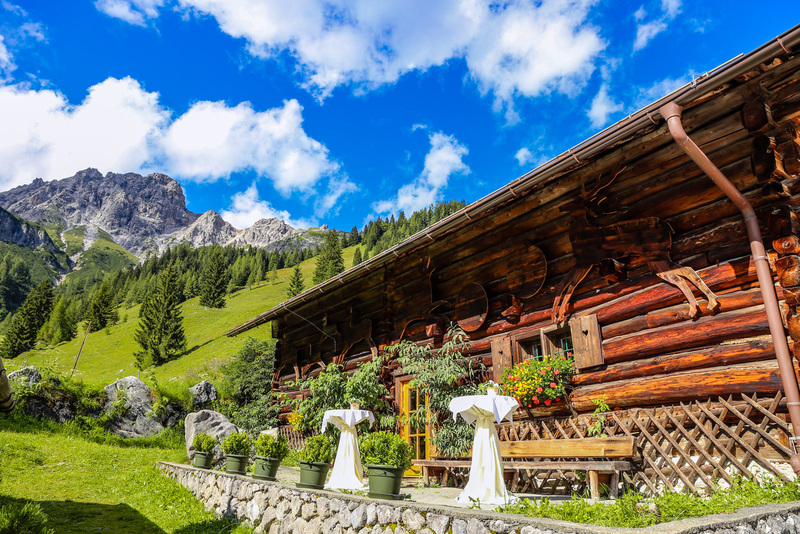 For those who don't ski there are numerous options like tobogganing, snow tubing, cross country skiing, ski touring, snowshoeing or even a romantic horse-drawn sleigh ride. 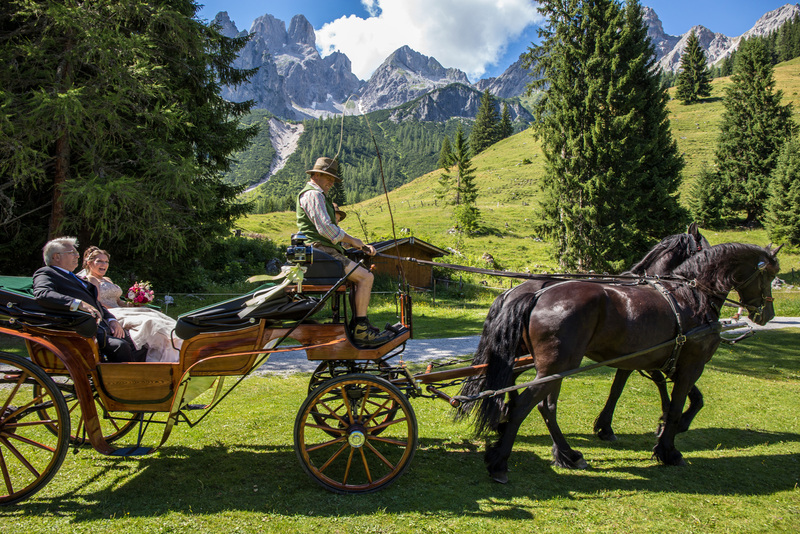 In summer enjoy alpine pastures and unspoilt nature while hiking or even climbing alpine trails, swimming, mountain biking, archery, horse riding... Filzmoos has been known as spiritual site since centuries, geomancers have now proofed energetic vibrancy on various spots such as the Place of Love. 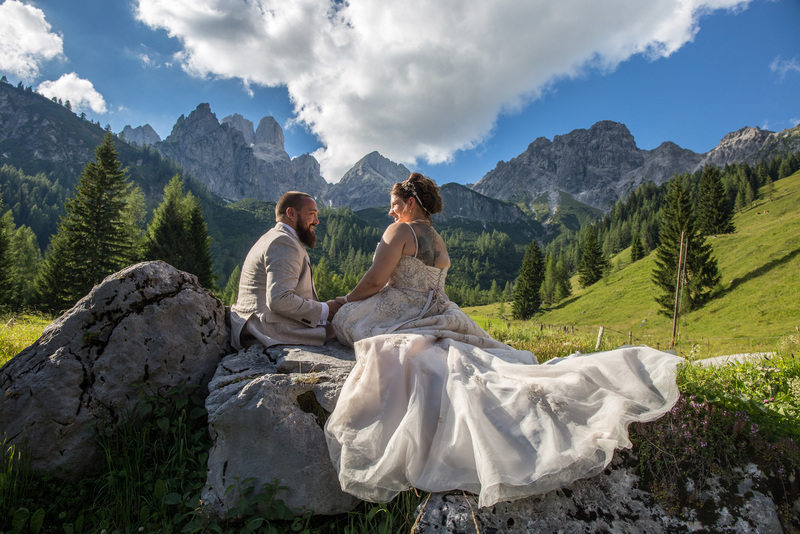 The civil or symbolic wedding ceremony can either be solemnized at the "Place of Love" next to the lake – feel the positive energy at this official spiritual powerful site. 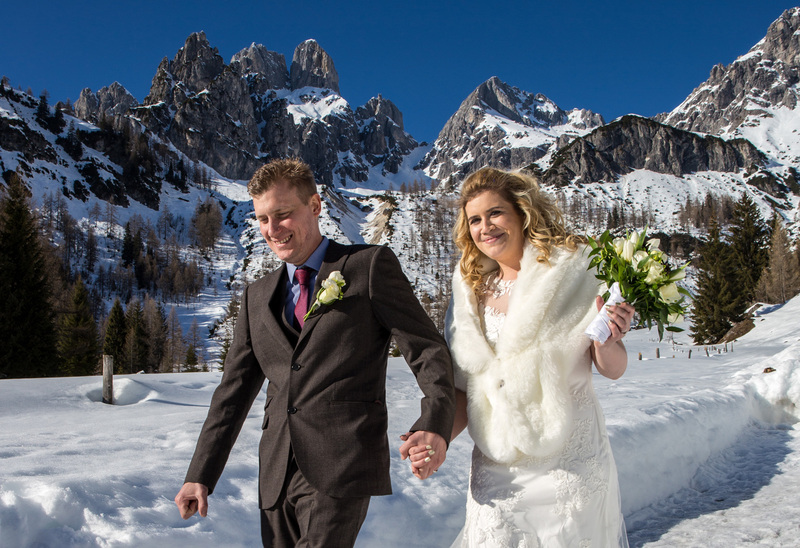 Or inside the traditional and cosy Alpine cottage also offering various rooms of different sizes for the reception. 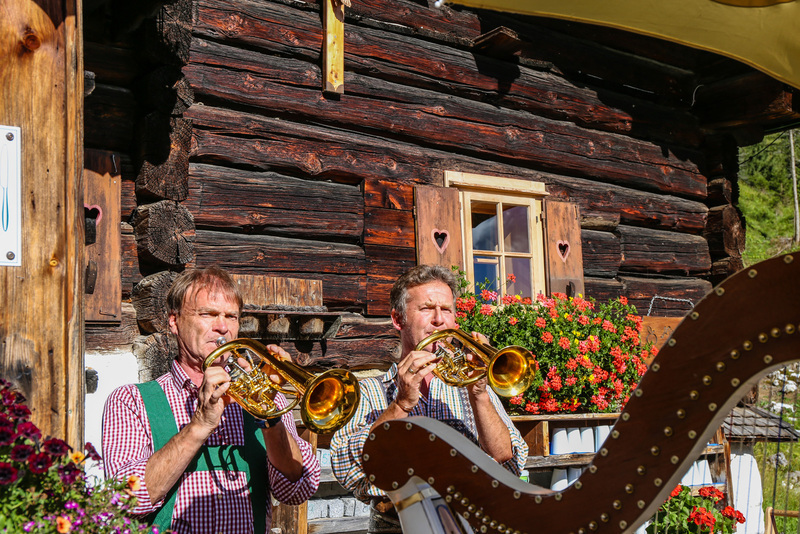 In any case traditional Austrian live music by fluegelhorn or harp frame your "Yes, I do" guaranteeing good vibes. 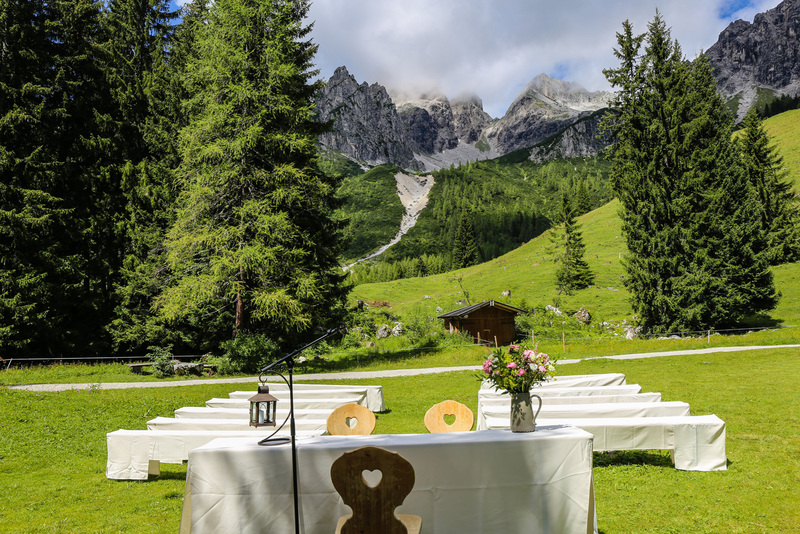 The distinctive Bischofsmütze peaks tower over the ceremony location providing impressive backdrops for professional wedding photos. 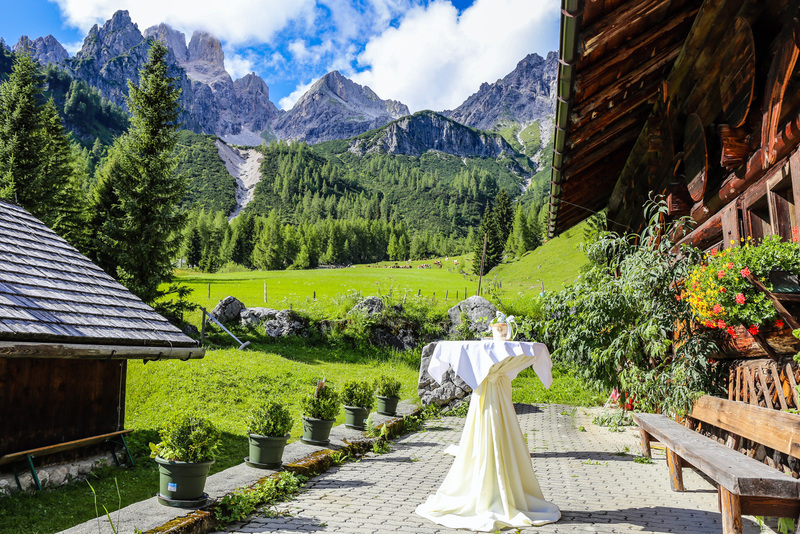 Take in the magic of the natural surroundings! 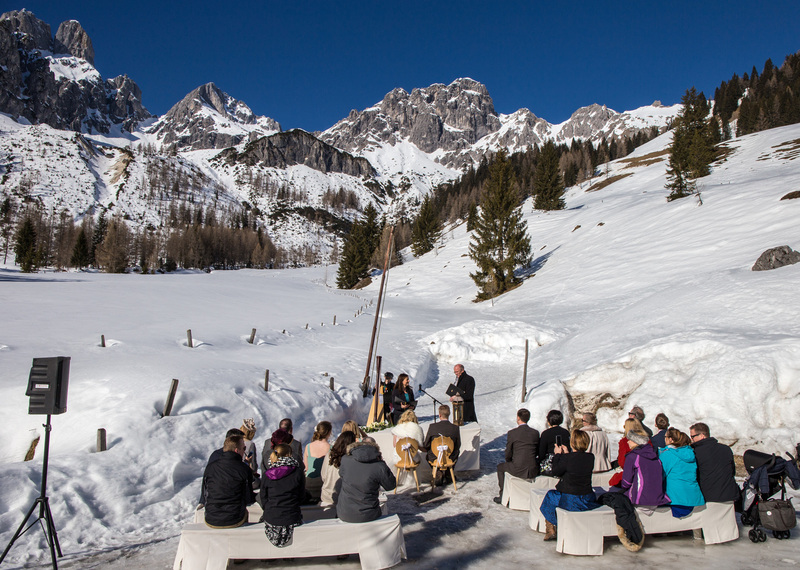 The locals of Filzmoos have – over the past centuries – preserved many facets of culture, social life and hospitality to the present day. 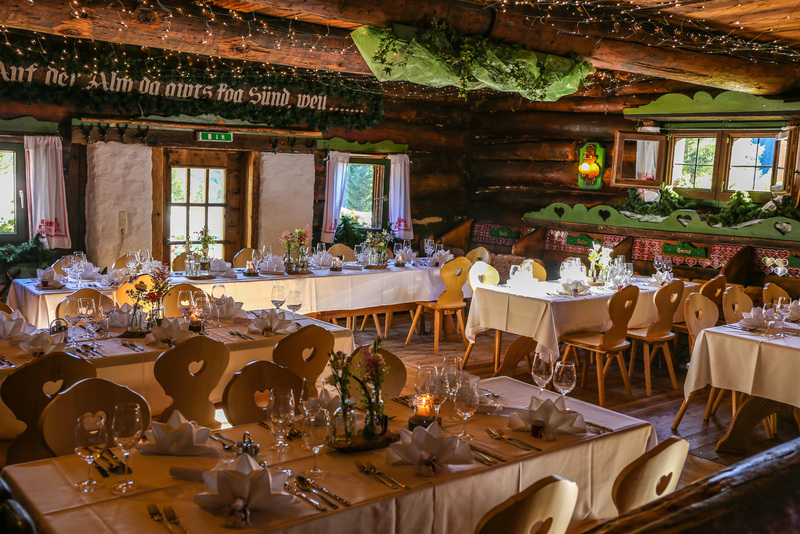 Enjoy top quality service and excellent cuisine at the venue itself but also at other Filzmoos restaurants. 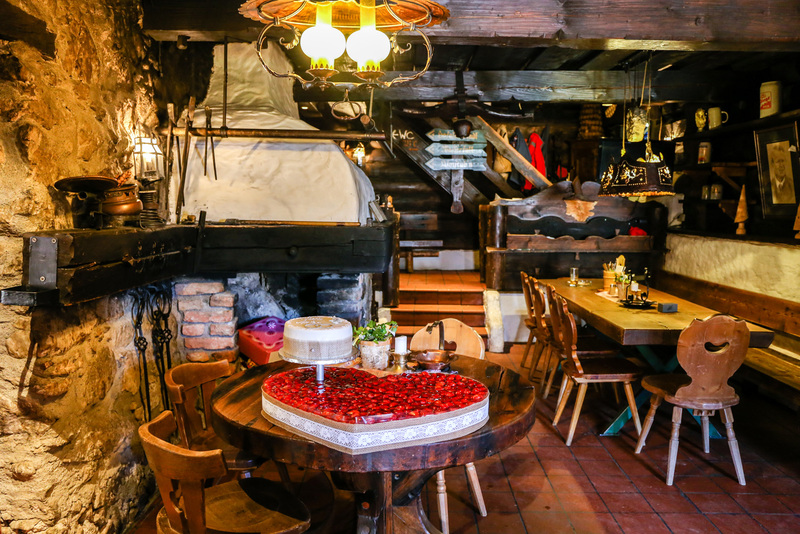 The perfect place to indulge a diverse selection of local, hearty and healthy gastronomy. Party all night – nobody will be around except for a few rabbits maybe! And the music band always made everyone to rock the wooden dance floor!